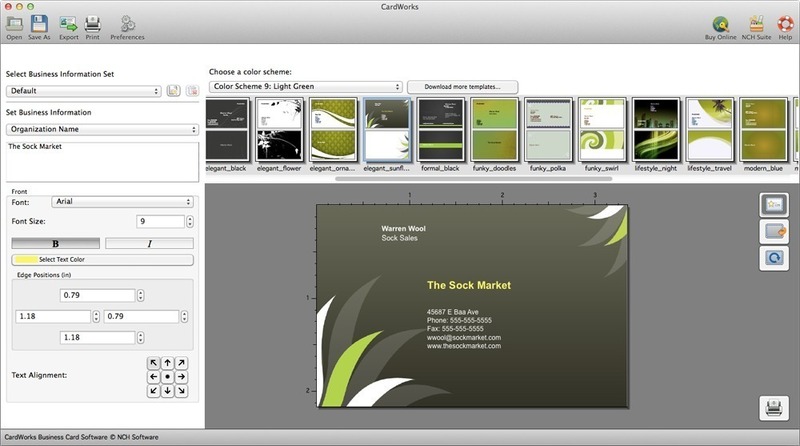 CardWorks allows you to design your own printable business cards using a wide range of business card templates. CardWorks makes it easy to design business cards to fit your corporate or personal brand image, giving your customers and business contacts easy access to your contact information. All standard sizes of business cards supported. Export your business card files and have them professionally printed or print them yourself.